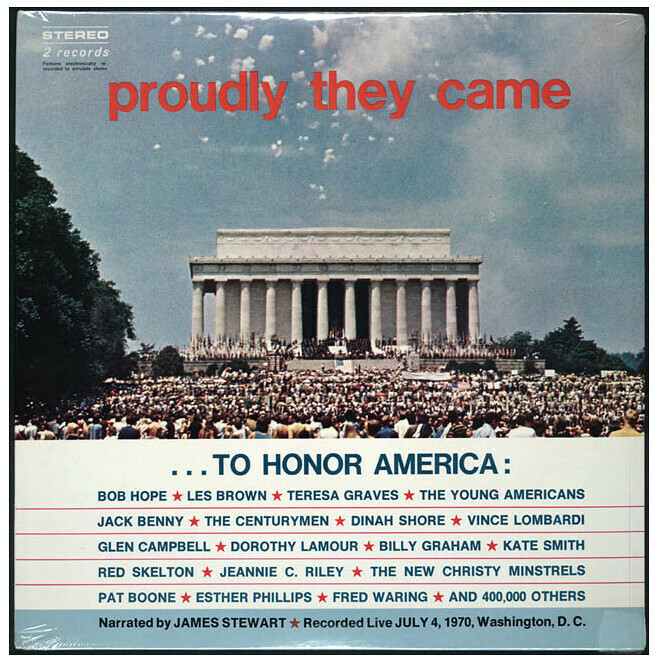 The album cover of Honor America Day recordings of the event that was largely seen as a pro-war, pro-Nixon rally held July 4, 1970 in Washington, D.C. The album contains an iconic version of Kate Smith’s God Bless America, but does not recognize protests at the event against the Vietnam War and for legalization of marijuana. I can’t help but recall the July 4th “Honor America Day” at that location 49 years ago. It was a massive, entertainment-filled, patriotic ceremony kicked off in the morning with an interfaith service on the steps of the Lincoln Memorial led by Billy Graham and attended by some 10,000 people. The day’s planning committee was led by J Willard Marriott, the hotel-chain baron and friend of President Nixon. Bob Hope was the master of ceremonies. American evangelist Billy Graham speaks from a podium on the steps of the Lincoln Memorial while surrounded by uniformed members of the armed forces during ‘Honor America Day,’ in Washington, DC on July 4, 1970. 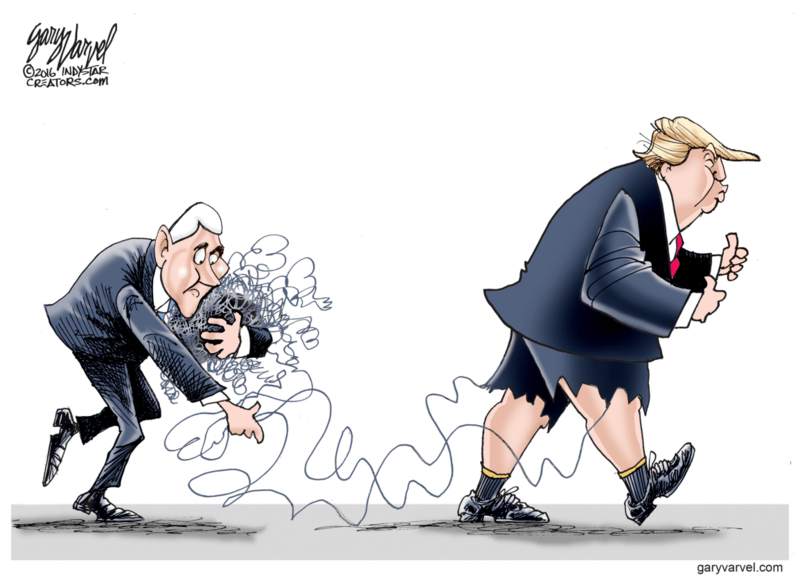 In spite of campaign promises to end the war in Vietnam, President Nixon had expanded the war with the carpet-bombing and invasion of Cambodia. In the fall of 1969, the largest antiwar protest ever held in the United States drew hundreds of thousands to the nation’s capital. The antiwar movement continued to grow, particularly after National Guard soldiers in May 1970 killed four students attending an antiwar protest at Kent State in Ohio and two at Jackson State in Mississippi. When Nixon supporters kicked off their Honor America celebration at one end of the National Mall ostensibly to express a sense of national unity and patriotism, many felt it was little more than a pro-war rally. 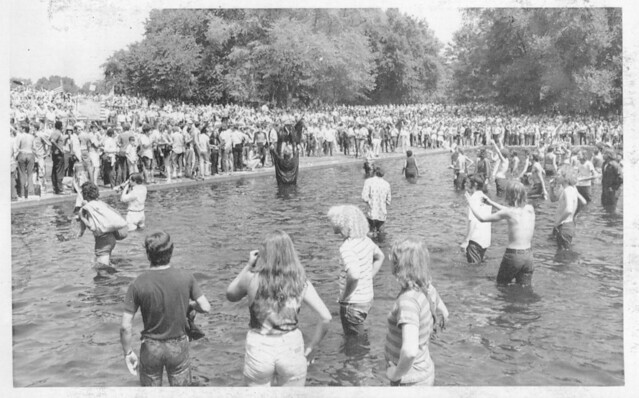 From the reflecting pool to the Washington Monument at the other end of the mall, several thousand hippies and Yippies gathered for what was to become an annual Smoke-In to demand legalization of marijuana and the end to the war. Four years ago, over objections from Congress, recreational marijuana was legalized in the District of Columbia. We can be certain that this year’s smoke-in will offer an interesting contrast to the Trump-sponsored Salute at the Lincoln Memorial.